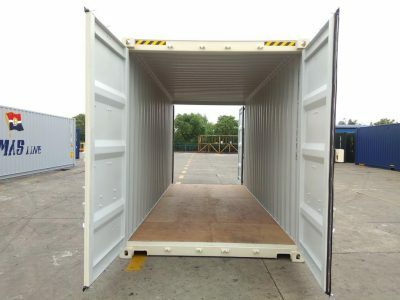 New high cube double door 20 ft sea containers are standard length containers with additional height, and double doors for easy access. These shipping container stand at 9.5 feet (approximately 3 metres) in height, and are ideal for taller or odd-shaped items that require back and front double door access. The double doors are both ends open out to 270 degrees, and make loading and unloading easy. These containers are built with corten steel and are vermin-proof, weather-resistant, dry, secure, and guaranteed to stand for years.